starlessla has no other items for sale. - Select - 24 in. 25 in. 26 in. 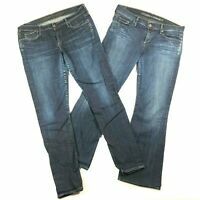 Citizens of Humanity Distressed Low Rise Skinny Jeans Size 24. 24x26x6x10"
Message us for international shipping rates prior to purchasing.